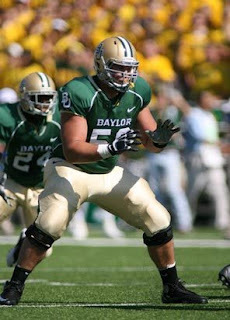 Welcome to Day 7 of the SKOHRboard & Stangs 2011 NFL Mock Draft. 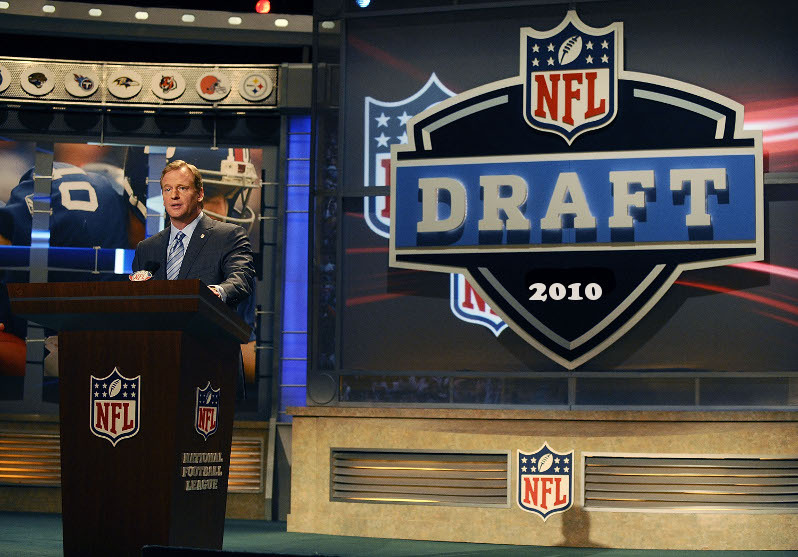 We are almost through the first round and will see some of the best teams in the NFL from last year picking today. There have been a few notable guys sliding into the bottom of the first round and we'll see if they get snatched up here before they fall any further. This is a tough pick for Atlanta. Clearly they are in ‘compete right now’ mode and are trying to win a Super Bowl this upcoming season and have the kind of team that can do it. Atlanta could use an OLB or a DE to help rush the passer but with Justin Houston going the pick before them, they now have to look elsewhere as they don’t treasure anyone left at this slot as a worthy 1st round pick. Instead, Atlanta takes its tight end of the future and someone Matt Ryan can develop with over the next decade in Kyle Rudolph. Rudolph is 6’6 and weighs 265, so he has great size for both pass catching and run blocking. Rudolph can play right away and Atlanta can use its 2 tight end formations and really create some nice spacing for Roddy White now with 2 excellent tight ends in the middle of the field. Plus, Rudolph can learn from arguably the best to ever do it in Tony Gonzalez. So as Tony knows his career is heading toward the finish line, he will prep Rudolph and the Falcons are ecstatic to have a guy who can help them right away and become a building block for the future so late in the 1st round. Rudolph has great hands, and his only real concern is his ability to stay healthy. Atlanta may not hesitate to take Rudolph if he’s still there when they pick at 27th. The Pats have few needs they could address with this their second 1st round pick. However, none of those needs take precedent over keeping Tom Brady healthy. The beauty of having so many high picks is that they can afford to take the best player available at any one of their need positions each time. They took Watt earlier in the first because they knew they could wait on an OT. This way they've ended up with their top DE and an OT who is so close in value to the other OTs it's essentially a steal. Derek Sherrod has started since his Freshman year in the SEC. He is a exceptionally nimble for a man who is 6'5" and 320lbs. Sherrod needs to work on his power but he has the ability to step in and play right away. Sherrod will be able to step in and play right away if the Pats aren't able to re sign Matt Light. Maybe he could play RT while Vollmer moves over to LT? While the situation with Light is up in the air and could go either way, the Patriots are not a team who leaves much up to chance. They'll cover their bases and deal with it if they end up with Light, Vollmer and Sherrod. The Bears overachieved last year reaching the NFC title game. They mostly did it with great defense and a big play offense. The one area where they were lacking was consistency in the run game. The offensive line consistently struggled to open holes for RB Matt Forte. This was even more apparent in goal to go situations where Chicago was worst in the league. The Bear could simply not run the ball inside the tackles and for a team that prides itself on playing defensive smash mouth football running inside and controlling clock is priority number 1. At 6-4 312 pounds, Watkins has the type of frame and toughness that can revamp that Bears interior line. 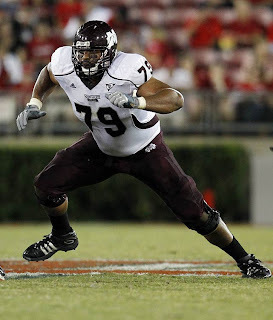 He is a mean run blocker with a nastiness to him that just screams Chicago Bears. With 34-inch arms he could also be used at tackle if need be. The Bears could also go with a defensive tackle in this spot with players like Muhammad Wilkerson still on the board, but something tells me that the Bears are more concerned about their O-line than their D-line. Wilkerson has flown up draft boards lately and it's probably because people realize that he is a 6'4" 315lb guy who can move around like an OLB. He is being projected to go in the teens by most mock drafts that I've seen but he falls here because of a lack of 3-4 teams needing a DT or DE more than other positions. However, the Jets are thrilled he fell because he'll be a perfect addition to their D-Line. I also considered Baylor's NT, Phil Taylor, because they need to find someone to step in for Kris Jenkins who announced that he won't be back for the Jets after two consecutive season ending knee injuries. Wilkerson is just a much better value with the 29th pick though. He will be able to give them a penetrating disrupter at the DE position. Wilkerson will start from Day 1 in a Jets uniform and if they can get Pryce, Ellis, or Gholston to play well next season they'll again have a very fearsome defense. I thought for sure the Bears would take Sherrod if he was still there. Their O Line definitely played better down the stretch but I'm sure OL Coach Mike Tice would love to have Watkins added to the group. Hey what is the earliest a Temple football player has ever gone? Wilkerson has got to be the guy right?